There are quite a few different kayaking locations in Georgia, and you may not be aware of many of them. These locations are all beautiful in their own right, and they blossom with color during the summer months when kayaking is best. However, Georgia never gets so cold that you cannot take a fall or winter kayaking trips. This article explains several different locations that you may try in Georgia, and there is a look at how each one may meet your paddling needs. 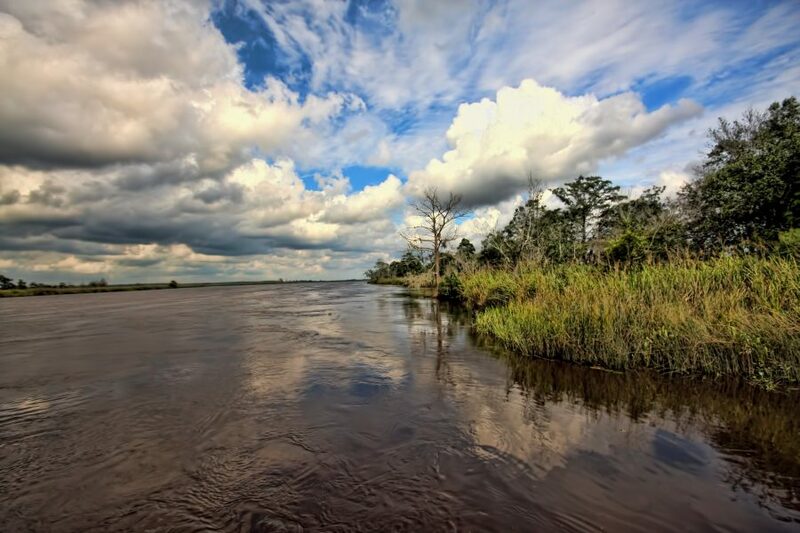 The Altamaha River near Brunswick is about a hour from Savannah, or you may drive down the coast from Hilton Head. Some travelers may drive up the coast from Jacksonville, and it is about halfway between these two points. Brunswick is where many of the lighthouses of old Georgia are located, and this beautiful river snakes toward the ocean. The location is known for having tranquil waters, and you are quite far away from any real civilization in this place. You may find that this is a lovely places to rest for a couple days of kayaking because the river does not require so much energy. Ensure that you have tried this river when you want to kayak on your vacation on the Georgia coast. You are already on your way to Florida, and it may be a stop on your way to the Florida beaches or back up to Hilton Head and the South Carolina Low Country. The Chattahoochee River is quite long, and it stretches across a good part of Georgia where it bends through cities and forests. You may come down to Columbus which is about two hours from Atlanta, or you may simply skip over the Alabama border to see the city. 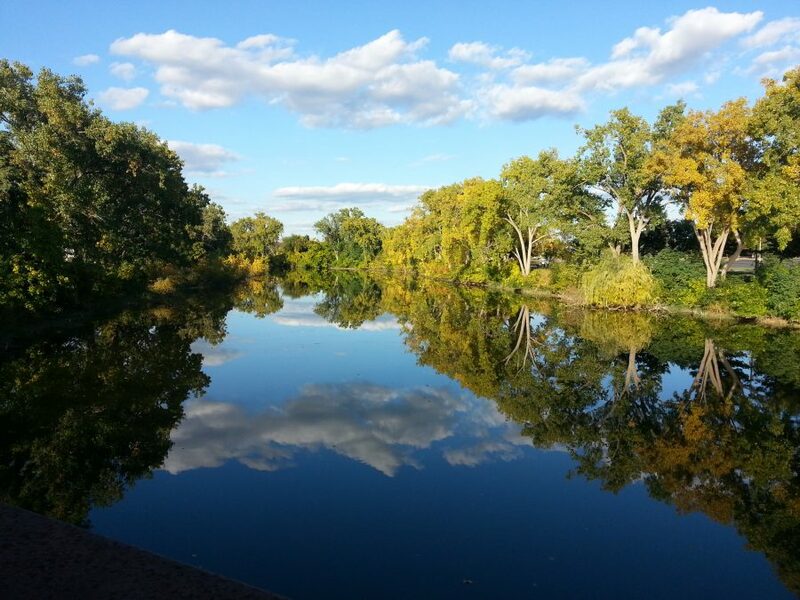 The river passes right through Columbus, and it has many nature spots on both sides of the city. You may trickle through the middle of the city on the soft waters of the Chattahhoochee, or you may kayak down to the heavier rapids that introduce you to Alabama. It is quite exciting for you to come here because Columbus is in a forgotten corner of the Southern US. You may stay here overnight to try more than one part of the river, and you may choose to take the river into Alabama where the forests get thicker, the banks are good for camping, and the little villages along the river are charming. The Chattahoochee River passes through Atlanta, and it has many tranquil sections that give you a nice view of the city. You may float under overpasses for the highway, and you may find that you prefer coming to the ramps where the river is shallow and slow. Go just outside the city to try a bit heavier kayaking, and you may find that the river drifts out of the city where the rapids pick up a bit. You may drift all the way down to Columbus if you like, and you may find that this is the best overnight journey going from Atlanta down to Columbus. There are many places where you may simply float on the river and head back to the same ramp. 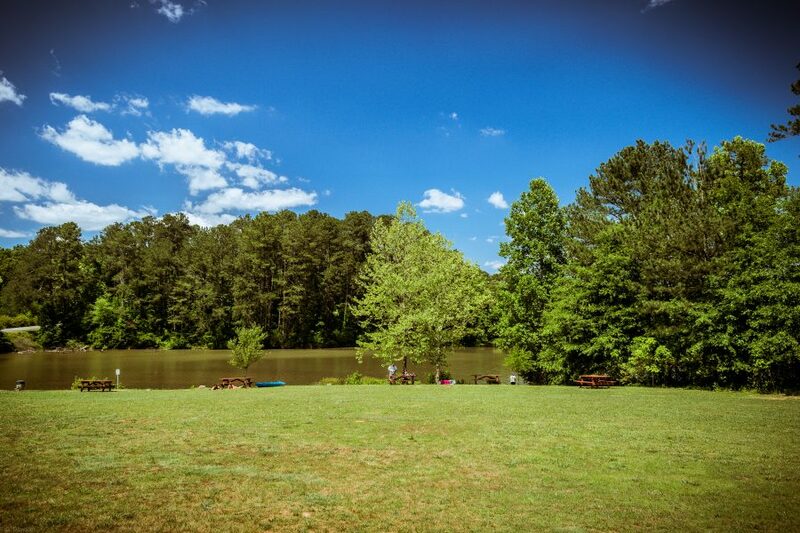 The Chattahoochee is very accommodating because it has many people who come down in the city, or you may walk the trails of the state park that is in this area. The park that surrounds the river is just as much fun as the river itself, and the mix of urban locations with the natural beauty of the river is something to behold. The Crooked River State Park off Cumberland Island is exctiging because you sit just off the shore of the barrier islands, and you can see the island when the river deposits you in the ocean. This is an excellent place to Kayak because it is so quiet, and you may come out into the inner shore waters of the Atlantic where Cumberland Island sits. This is another part of your trip along the coast that will allow you to stop every so often between South Carolina and Florida, and you may come here when you want to take wonderful pictures of the forests that hang over the river. Crooke River State Park allows you to feel as though you are kayaking all the way to the ocean as if you were an explorer, and you may come here to relax and float out onto the ocean every day after a short trip down the river. Fort Yargo State Park up by Winder is about an hour outside Atlanta, and you are dropped in the middle of the badlands of Georgia. Winder is a fairly small town, and Fort Yargo sits in the middle of a large forest. The river that passes through the park allows you to kayak comfortably, and you may camp on the banks of the river at any time. 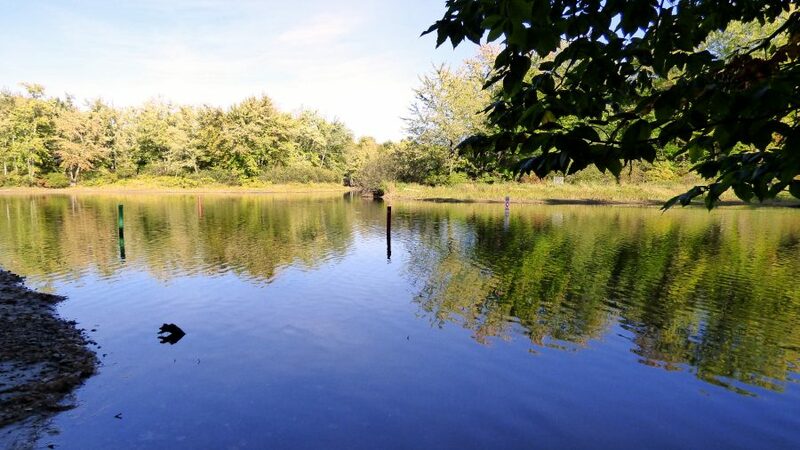 Fort Yargo State Park has all the amenities that you need, and they have a boat ramp where you may slip into the water. This is a simple place to visit, and you may stay in one of their cabins overnight. Enjoy the kayaking for more than one day, and you may find that this is the place you want to go when you need to get away. The Toccoa River near Blue Ridge is a place where you may get sucked into the nature and tranquility of it all. Blue Ridge is an escape in and of itself, and the town provides you with all the amenities that you need. You must drive about an hour and a half outside of Atlanta, but you land in a place with nothing but trees and beauty. There is a lovely railroad that starts in Blue Ridge, and you may choose to come down to the river early in the morning to enjoy the fog and the birds singing. The rapids are subtle in many parts of the Toccoa, but there are the falls where the waters get much heavier. There are some wonderful rapids in this location that will blow you away, and you must be experienced to ride the most difficult parts of the river. You are completely surrounded by the forests on both sides, and you will love this place because you have a nice city to go back to when the ride is over. You may choose to camp on the banks, or you may stop off at any time to hike back up the river. The Flint River near Albany is in southwestern Georgia about 90 minutes from Macon, and could drive out about three and half hours from Atlanta. You may drive over quickly from Alabama, and you are not that far from the panhandle of Florida. The Flint River is one of the smaller rivers in Georgia, and it has very soft rapids that push you along without any real drama. The Albany area has quite a few things that you will enjoy if you come for a day of fun, and you must ensure that you have set aside some time to ride down the river and hike back up. You could float into extreme southern Georgia, and there are wonderful spots to camp on the river if you want to stay out for more than a day. The Ocoee Whitewater Center is a unique addition to this list because it is not a natural place. This center was built for the 1996 Summer Olympics that were held in Atlanta. However, you must drive about an hour north of Atlanta to get there because it is just below Chattanooga. This center was made to test the kayaker, and it is a place where may see all the rapids that are most challenging. The center welcomes people for practice often, and it has a lovely staff that will support you when you have a number of people with you. You may rent your kayak and gear at the center, and there are instructors who may help you learn to ride a kayak for the first time. 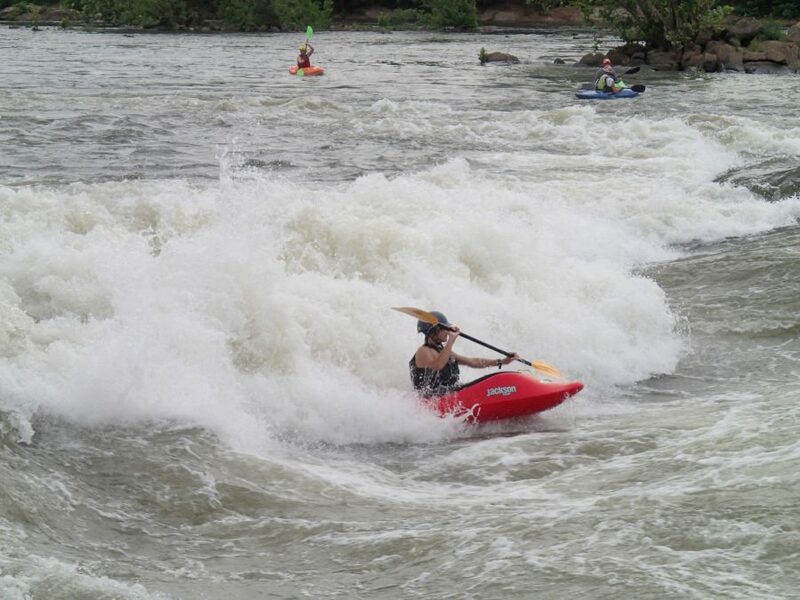 Consider the Ocoee Whitewater Center because you do not want to be stuck on an aimless river. This is a safe place to learn about kayaking with friends and family. 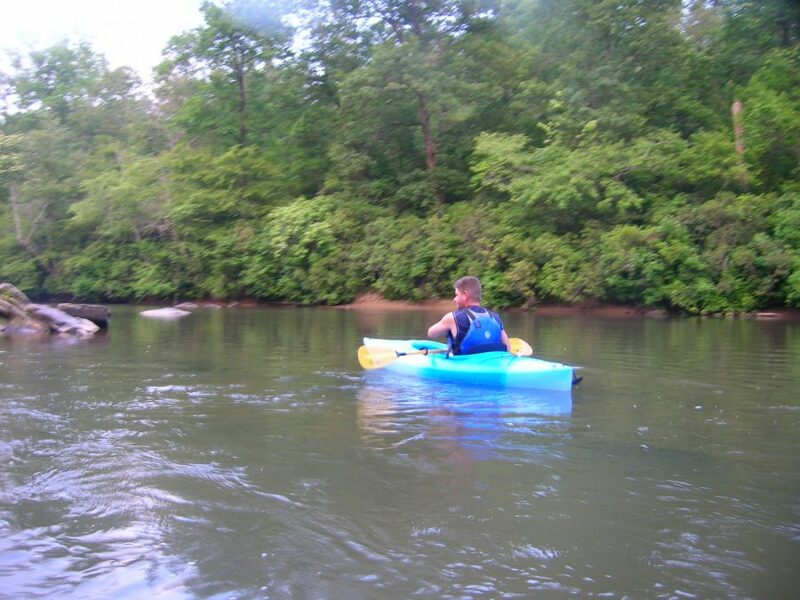 The wonderful locations that you choose for kayaking in Georgia are spread out around the state from the coast to the panhandle of Florida and the extreme north near Chattanooga. You may ride the Chattahoochee down from Atlanta to Columbus, or you may come to the forests of Northeast Georgia where the rivers are busy and beautiful. 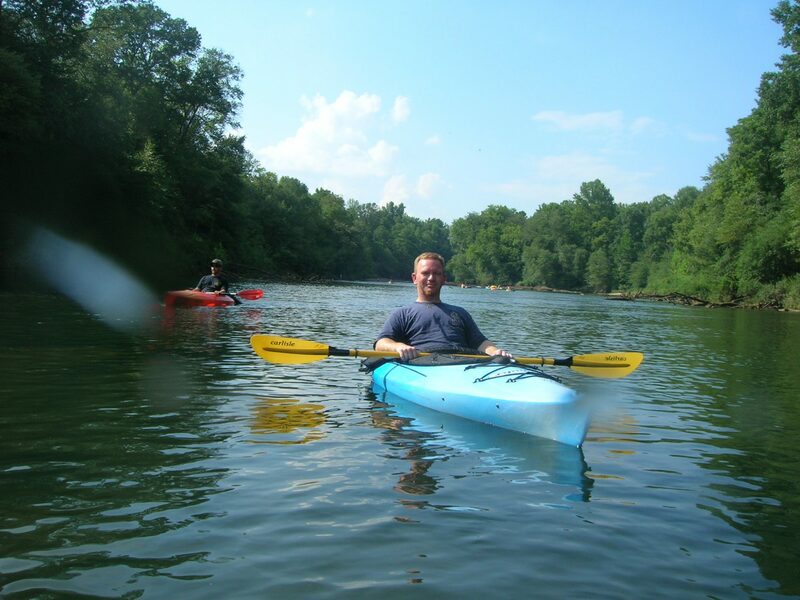 Kayaking in Georgia is a recreational option for any family, and you must give Georgia a try today.